OK, at this point I feel I need to come clean a little bit and admit I have hobbies. 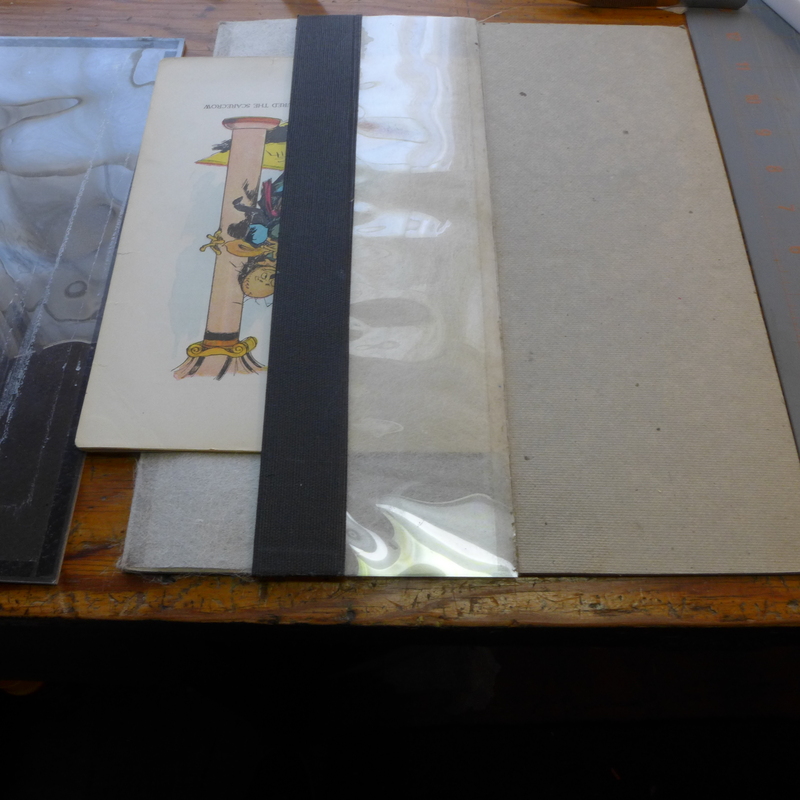 I feel guilty taking time away from bookbinding which for so long has been the primary occupier of my mind and heart. But sometimes I find it’s healthy to get out of the studio, step away from the bone folder… One of the side pursuits I enjoy is singing. For the past few years I’ve been fortunate enough to make the acquaintance of the good people of the Cornelius Cardew Choir, and sing with them in rehearsal and performance. Cornelius Cardew was an eccentric English composer of abstract music in the utopian vein. Readers of my blog may already know I enjoy and take inspiration from abstract, or sometimes called new, avant garde, noise, what-have-you, music… As you can tell, I don’t get too involved with labels, but ever since I was a teenager and discovered the radio program New Sounds, I have loved it. So as soon as I moved out to the bay area and discovered the Cardew Choir, I started attending rehearsals. The signature event of our group is the performance every year at the Garden of Memory. The Garden of Memory is an extraordinary musical event held in a columbarium every year on the summer solstice. Yes, that’s right, a music event in a building erected to store urns containing ashes of the deceased. Oakland has an unusual columbarium designed and built almost a century ago by a famous lady architect, and that’s where we perform in the event called Garden of Memory. It’s an extraordinary setting for an extraordinary piece: the choir invites participation from the audience, and due to the nature of the larger event in which we play a small part, audience members sift through the crowd and come and go as they like. The piece we perform was created by Pauline Oliveros and is called the Heart Chant. The general instructions for the piece are as follows: Rub your hands together to warm them. Place your right hand over your heart. Place your left hand on the back of the person to your left (thus a circle is created). Sing and hold a single tone for a full length of breath (though without strain). That’s pretty much it. The pitch we as choir members choose is often based on a practice our confounder calls “pitch shopping”: listening to the pitches of the rest of the group, and choosing one that is comfortable for your range (though you can initiate a new one if you feel it’s necessary). The performance can continue as long as the performers desire it; we generally perform from about 5:30-9:30 pm (phasing individual singers in and out to take breaks). Last year, the performance continued longer, since there were so many joining in; we even had to create a second circle to accomodate all who wanted to participate! As the performance continues, it evolves based on who is present at which time, and what tones they (we) are singing. We pick up on each others’ pitches and perpetuate them, provided they are within a comfortable range. As each note lasts the length of one breath, you need to choose something you can live with for that long. It is surprisingly harmonious. We all hear, or hear about, those singers who are always off pitch in a group, right? Well, this event/piece never ceases to amaze me in how closely people listen to each other, and how wonderful it always sounds. There are so many great things about this piece, and practicing it at least once a year as I do, I learn something new every time. It is a powerful experience to practice listening to others in this era when most people seem to be wearing headphones alla time. In all vocal work, it is necessary to listen, since your voice is not like a piano where you press a key and the same note comes out every time. It requires a lot of focus and concentration, because you must listen and sing at the same time. 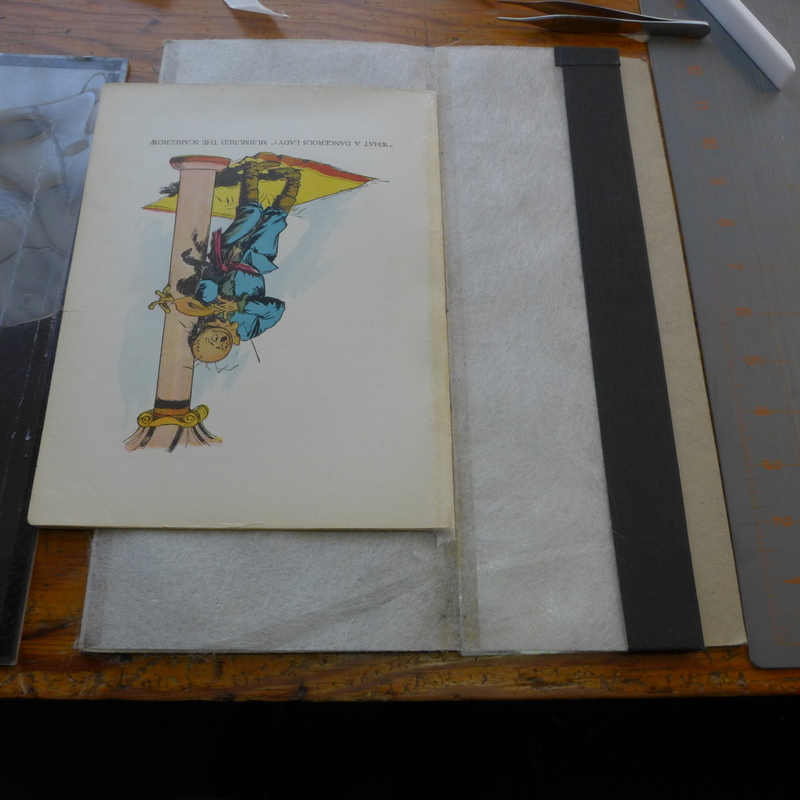 Thinking about this process, it struck me how similar it is to conservation, teaching, and bookbinding in general. 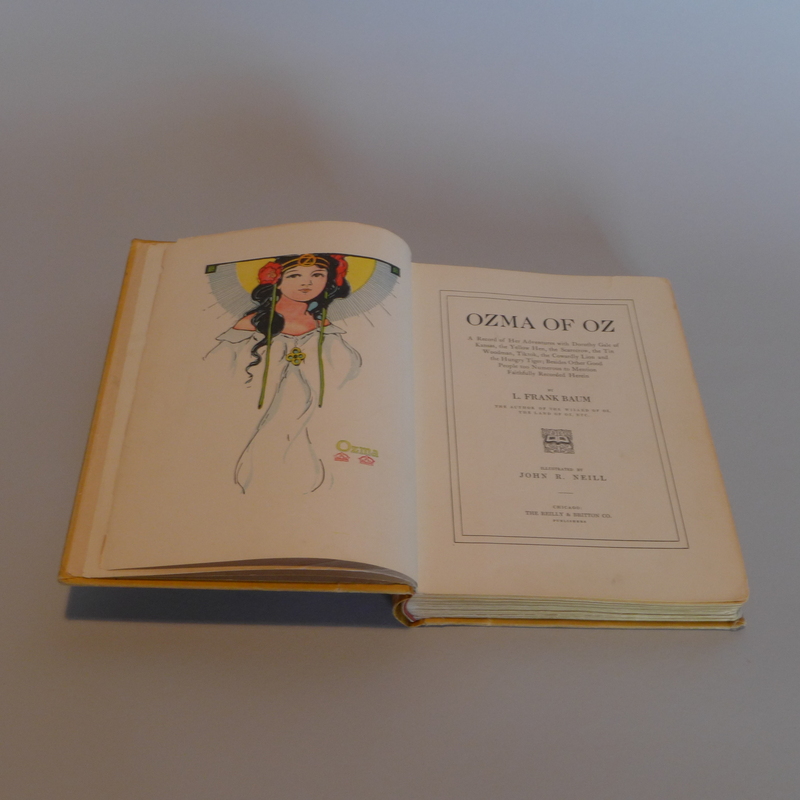 In conservation, listening to the object is the first step in treating it. You must take pre-treatment photos that tell you the item’s history and what its weaknesses and strengths are. You inspect it further, and write about how you see it, and what your plans are for fixing the problems as you see them. As you treat the item, you are continually ‘listening’ to it: the thickness of the paper, the depth of the tear, the qualities of the original sewing, the nature of the boards and covering materials. What will hold and what won’t? You need to pay close attention to the item in front of you in order to achieve a harmonious result. Extending the metaphor, your work must also match the pitch of the item’s. I find this metaphor to work in teaching as well. It’s important to meet each student where they are, so to speak. The results of being able to do this, when possible, are really satisfying. I’m so happy when my students find bookbinding to be something they can use and incorporate into their lives in meaningful ways. Soon I will be leaving the bay area briefly to teach some conservation workshops in the San Diego area. It’s exciting, but there are always some unknowns involved in teaching far away. I’m excited to have this experience in deep listening to guide me through! 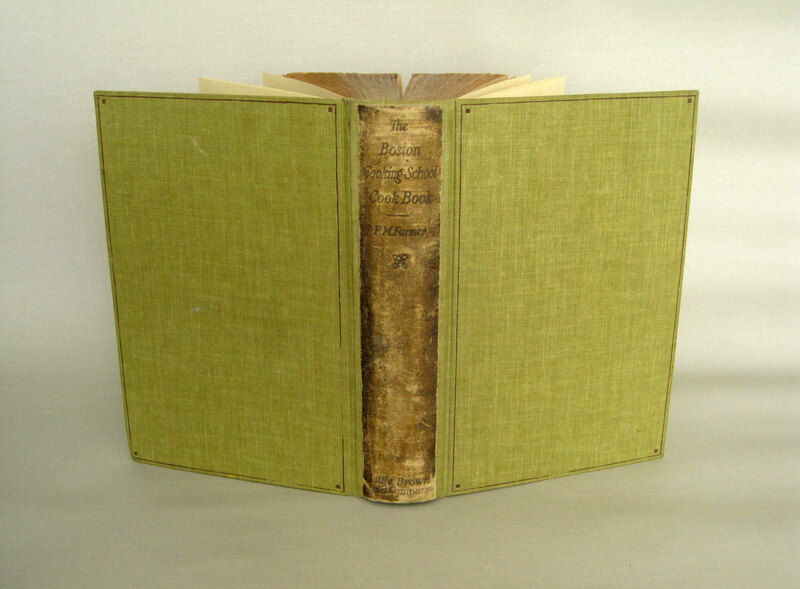 I recently repaired a first edition of Twelve Years a Slave. 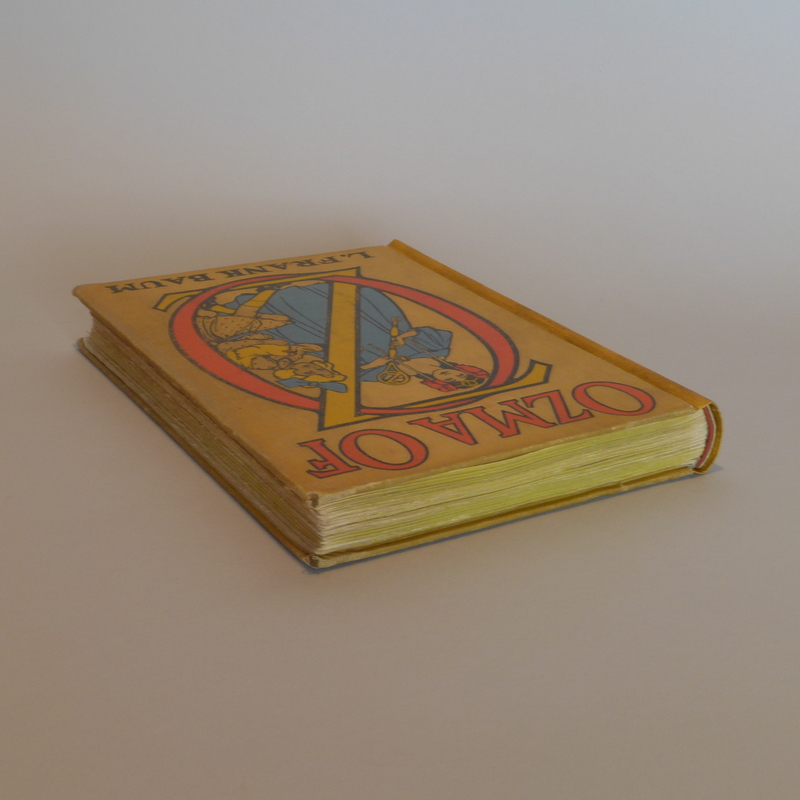 While the repair of this book probably merits its own blog post, I will just briefly include a couple photos here. 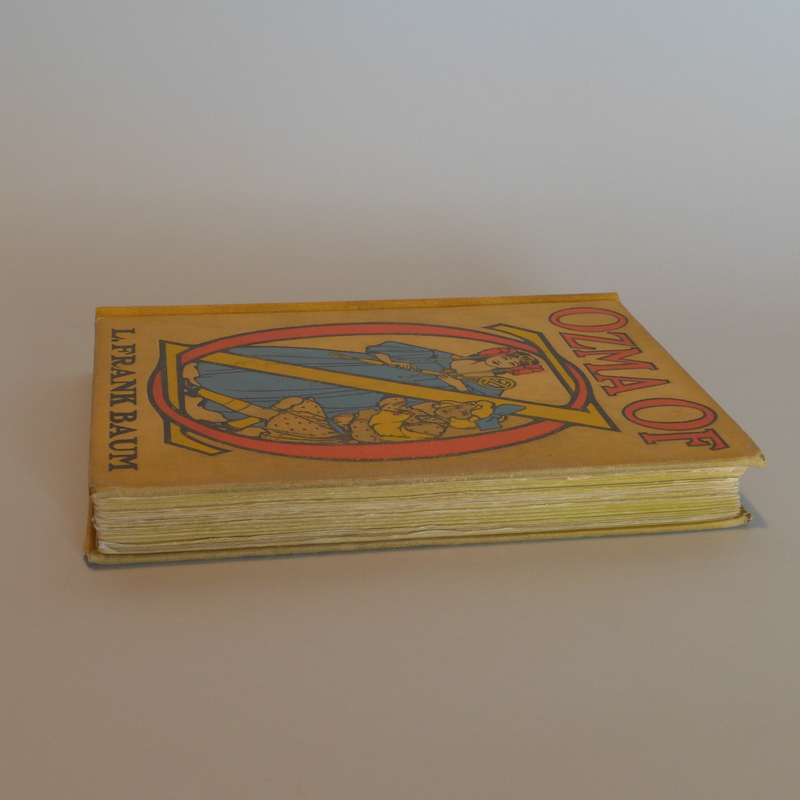 It was very important to save every tiny piece of the original cloth spine, which was quite a challenge. The end result of the spine: I was able to harmoniously tone the material underneath the original spine material to blend in. It is still obvious that the book is old; no one is being fooled here. But it is all intact; the areas with titling have been preserved, and the integrity of the object has been maintained. 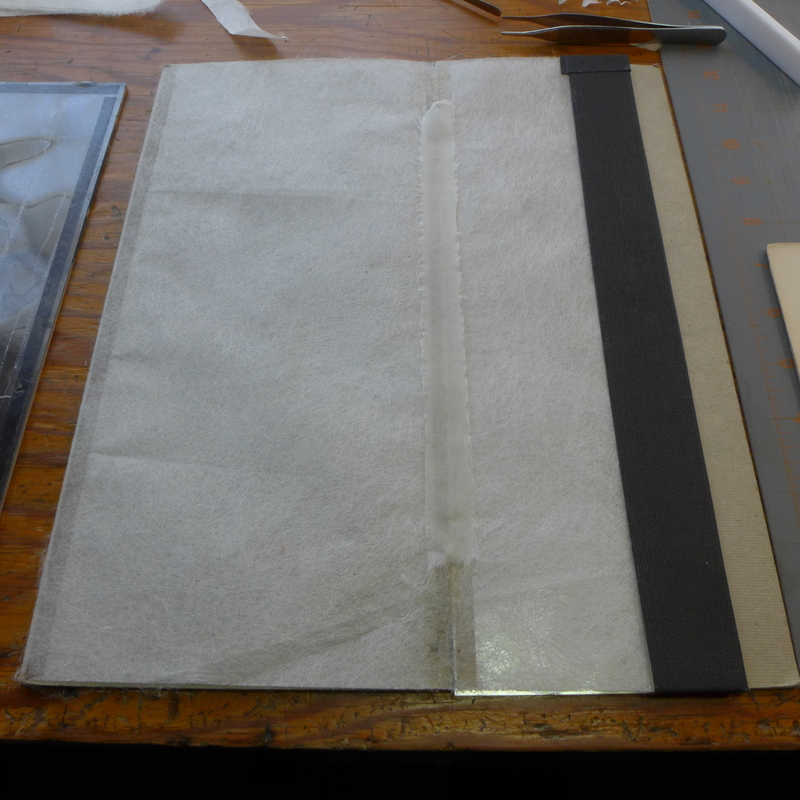 The rest of the covers have also received some attention though kozo paper that has been toned to match. 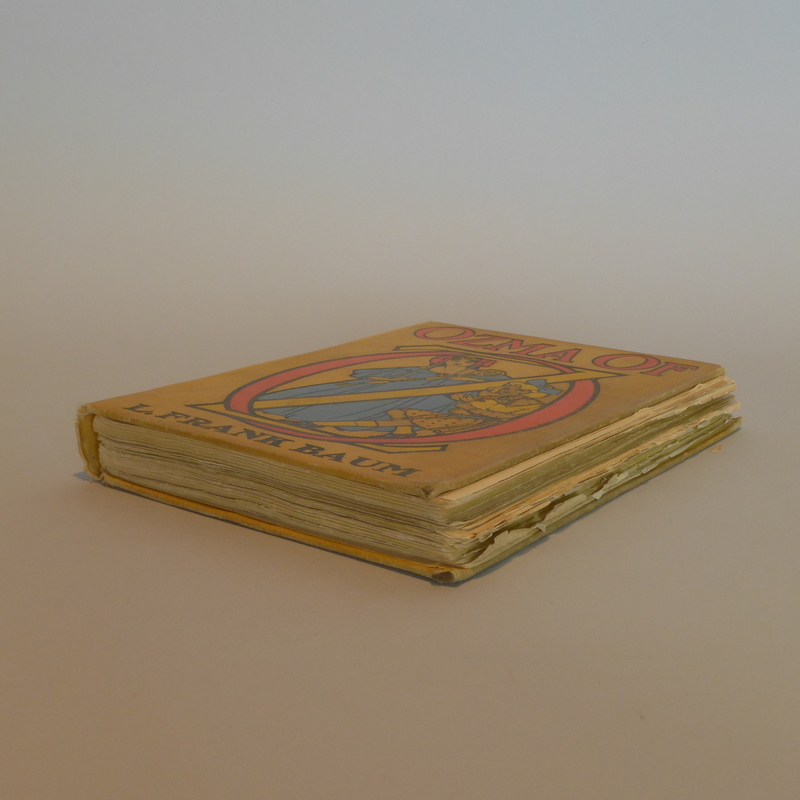 The cover boards will now be able to provide adequate protection for the text. Hello again and apologies for the long absence. Since I last added to this blog, Book Island broke loose of its moorings and took float, settling just a few cattails from its former position. Improvements include more space for my growing family of bookbinding equipment (more on that in a later post) and for holding mini-workshops; and proximity to a large vintage Wedgewood gas stove. There are many tradeoffs to living and working under the same roof; working for oneself also has its pluses and minuses. Not having to commute long distances, and being able to do things like let bread dough rise or soup simmer while working at the bench are things I would identify as pluses. Of course, it is a more solitary lifestyle; and there’s the whole tax/admin angle that has to be dealt with. In any case, it’s where Book Island is at right now. 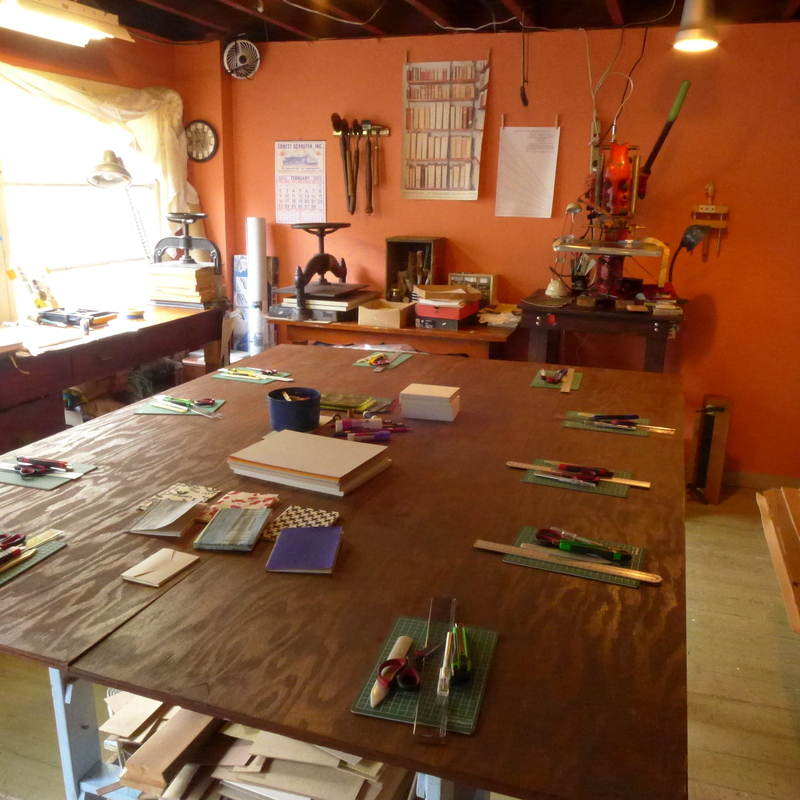 After sharing some tips on guarding and folio repair, I will include some snapshots of the new studio and workspace. 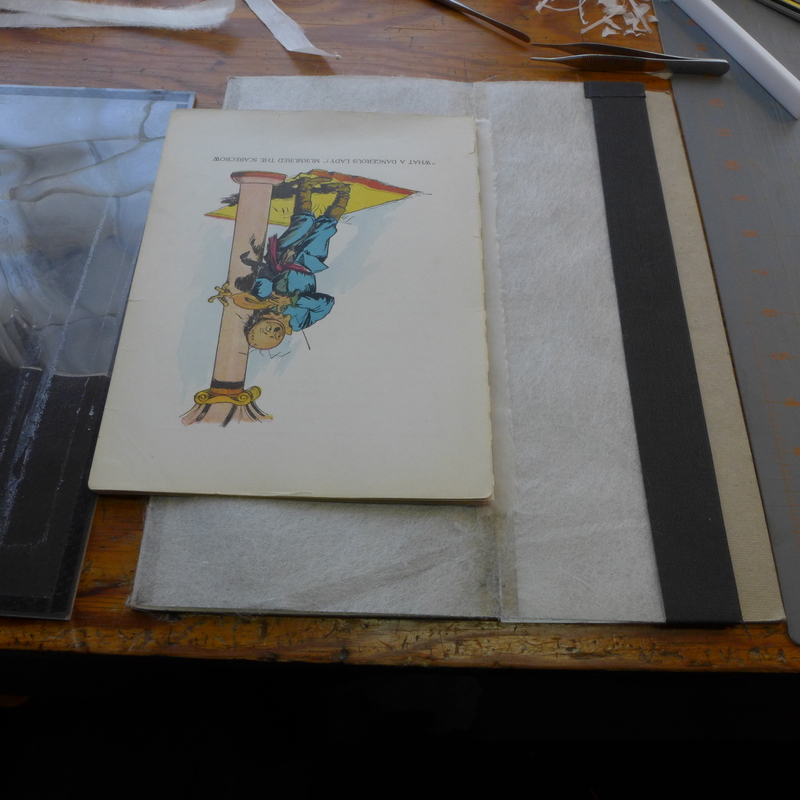 Step four: lift the buckram and return it to its original positions, and-voila!-your folio or signature has an unwrinkled, completely flat guard. Trim height to size when dry. The Folio-Mat (trademark pending) allows you to easily unite two leaves separated by time and neglect in order to prepare them for sewing. I recently had to guard an entire textblock this way and was able to save some time. It was much easier to jog the separated leaves to the foredge, avoiding much of the stepping out leaves often do when regrouped into signatures. 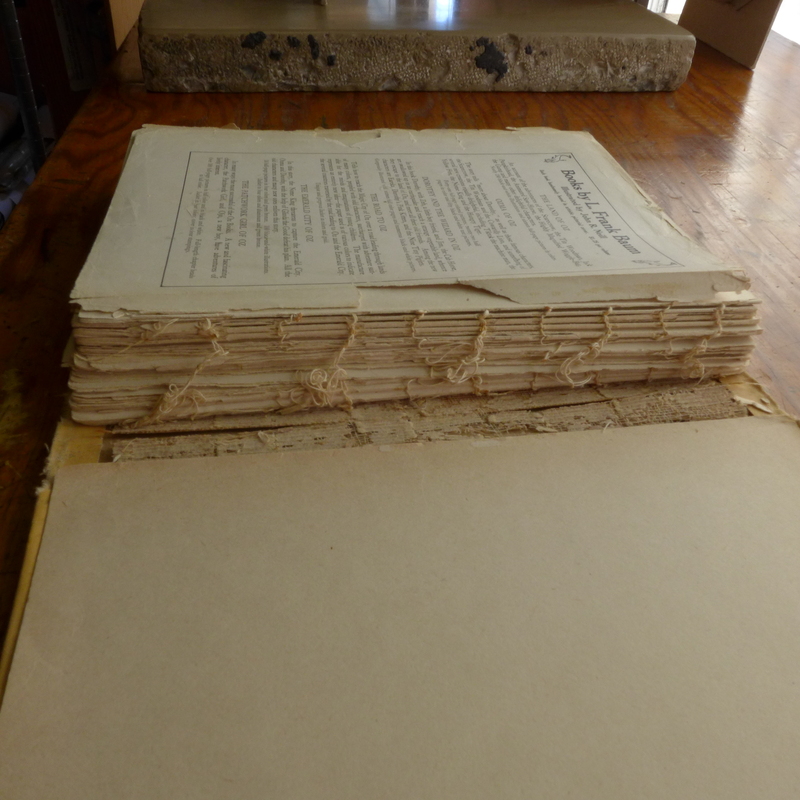 This paper was quite soft and fragile, having been in a mostly-disbound state for many years (burns and fading could be seen on the edges of the pages sticking out from the stack). To say this book was in tatters would be an understatement. I’m not sure the pre-treatment photos quite express the causes for trepidation I felt when approaching the repair… I’m sure we’ve all been there. It was very rewarding to see how it came out, however. Before treatment, foredge is in tatters. 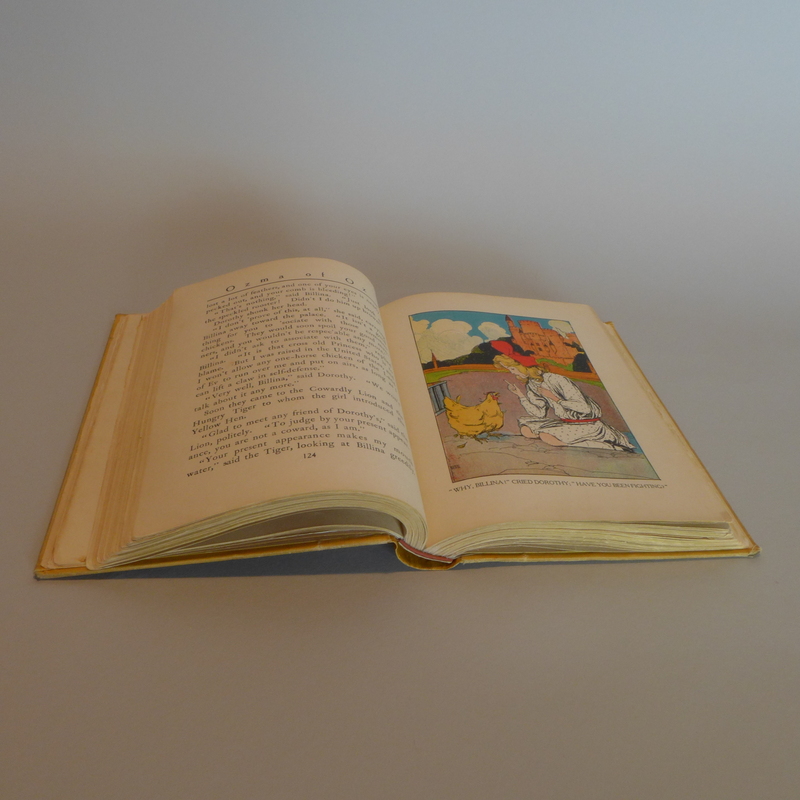 Book lays flat and can be read without damage to the pages. Success! Thank you, Folio-Mat. New space with expanded equipment family: Ursa Minor (little nipper) on the far left, next Ursa Major (big nipper); Kensol now has its own homemade table with two castors. Workshop table is new too, as are the rudimentary tool kits mostly acquired from the Japantown mall. Come visit! 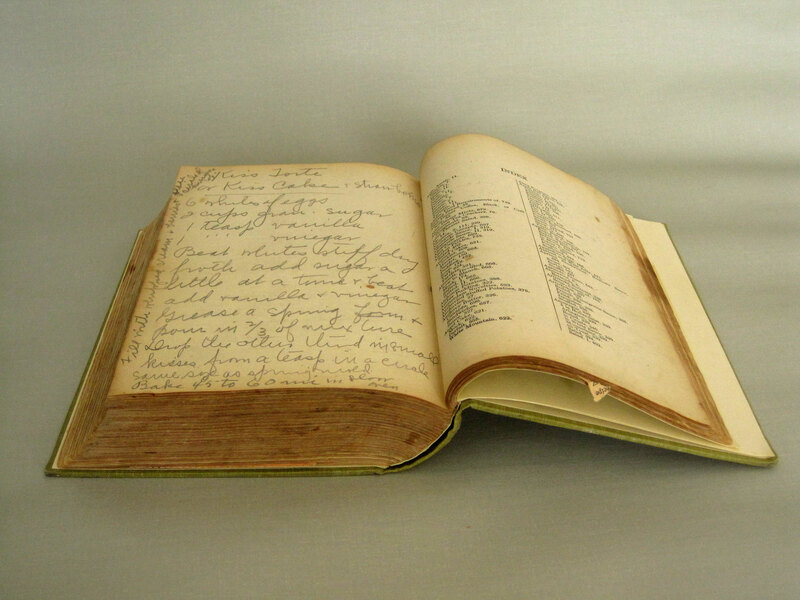 This was my Grandma Roz’s copy of the Fannie Farmer cookbook. Nothing left of the covers other than a scrap of the spine, I rebound it as a project in the bookbinding program at North Bennet Street School when I was there ten years ago. The book is still going strong through consistent use. It stays open flat enough to cook with without having to weigh down the pages or use some kind of cookbook stand contraption. 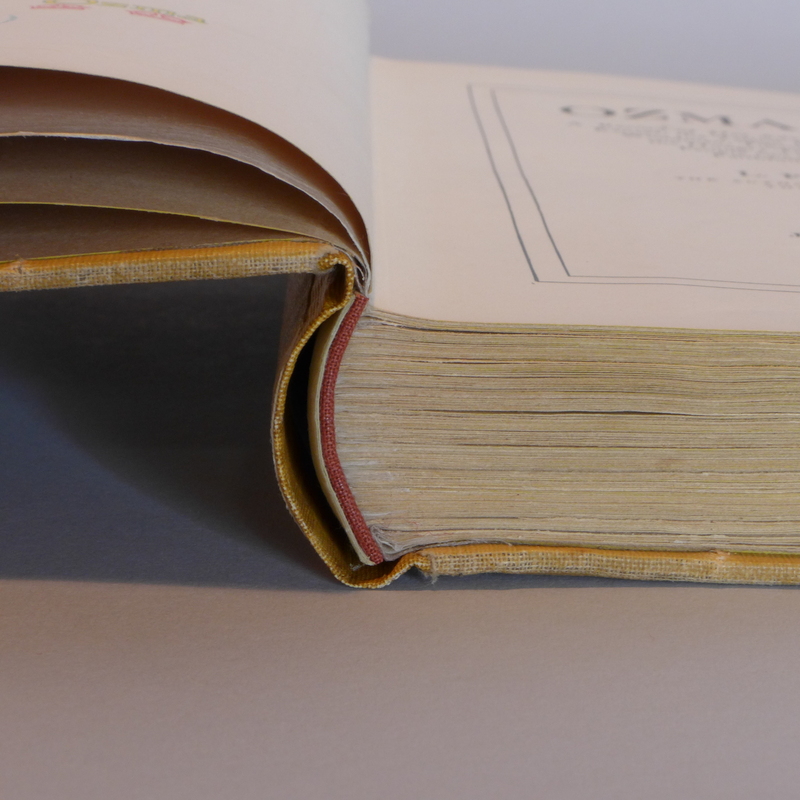 Humble cookbook repair remains one of my favorite parts of being a book conservator in private practice, forming its bread and butter, so to speak. Anyone who has been to my kitchen knows I love cookbooks! I love to cook, so it’s natural that I like to keep those Joy of Cooking, Betty Crocker, Good Housekeeping etc books in good shape for all you home cooks out there.